Hi friends today's recipe is very much interesting..That is simple Raita recipe. Raita recipe is so popular in south indian area for its amazing flavor. Actually raita helps to increase the taste of biriyani /pulao / kabab. It maintains the balance of heat from mutton/chicken or spices.Generaly Raita recipe is made with fresh raw vegetables ,mild spice powder and herbs. 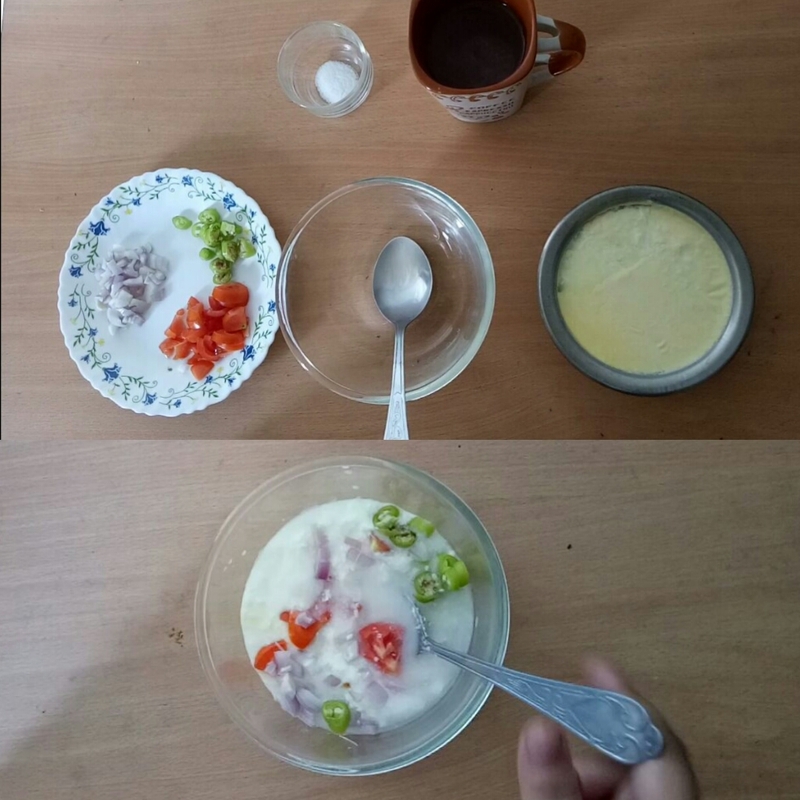 But here I used only basic home ingridients i.e tomatos, onions,green chilli's. Take a glass or metal bowl and shift all the ingridients mix together very well. And traditional raita recipe is ready to serve. You can use this recipe with hot veg biriyani /mix veg pulao as you like most. NowTraditional onions raita is ready to serve . Always keep in mind to make a perfect Raita use thik,pure,nicely set yogurt or curd. Hope you all enjoyed the recipe . 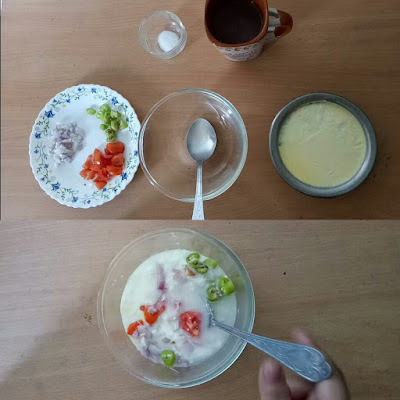 If you like the recipe please comment and share with your friends ,family so they can also know about wonderful onion raita recipe for the summer season, which is easy to make and delicious to eat also with full of nutrition value.